PatraCompany has partnered with Databox. Why? Because Databox helps us meet our mission of promoting our client’s business growth with creativity, sound reason, and data-driven execution. Every decision we make for our clients is data-driven. As Jim Barksdale says, “If we have data, let’s look at data. If all we have are opinions, let’s go with mine.” That’s a formula for conflict. We prefer to avoid power struggles with our clients! If we only offer opinions, it’s like we’re asking you to gamble with your business. Should you trust our instincts over yours? No is the reasonable response. Yet, should you take your business in a direction driven by instinct, when we can gather the data to ensure instinct works with reason to achieve your goal—a growing business! We prefer to use data as the reasoning-base for all the creative stuff we do. We believe we should be an investment that pays dividends. What’s so good about data? Example HubSpot and Databox Integration. There’s instinct, and then there’s data. Sure there are cases where business decisions based on gut feeling have resulted in huge profits. Consider the iPad. Data didn’t support high adoption rates. However, Apple CEO Steve Jobs felt the iPad had the potential to take over desktops. He went with his gut, and it paid off. We partnered with Databox because it gives us the ability to pool all your data in one place. 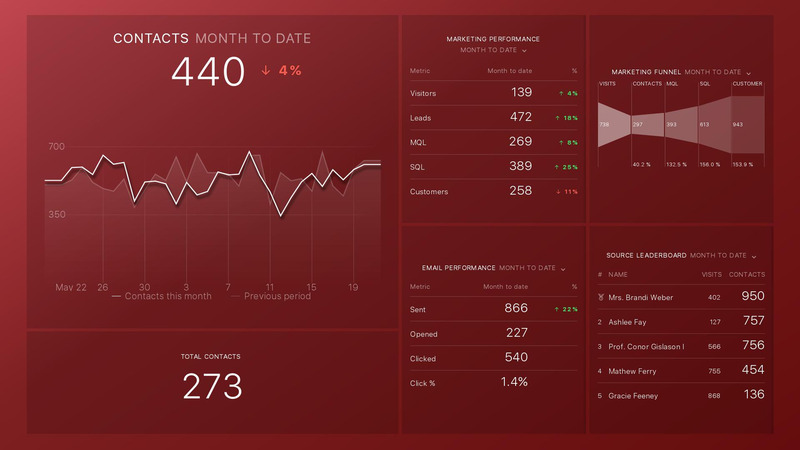 Yet more than this, once we’ve set things up, Databox enables you to keep your team focused on the business performance indicators (KPIs) that matter. No more wasting time digging through massive amounts of data, only to miss the truly important information. Instead, Databox’s Datawalls ensure you can send each team member the data they need to contribute effectively to the enterprise. Decisions begin with solid information. Then intuition can contribute. If there’s a data source, it’s highly likely Databox already offers one-click integration. These are just some of the most common. And you can push your custom data as well. This means that if you can collect the data, we’ll find a way to integrate it with Databox. HubSpot and Databox Mobile Devices. Another thing that makes Databox so useful is its ability to deliver your metrics to the place where you need to evaluate your KPIs. Using mobile? Databox offers native mobile iOS and Android apps. Use Slack? Databox leverages that platform as well. Still using a desktop or laptop? In a mobile-first world, Databox remains friendly to larger formats as well. Want to stay in the loop at the gym? 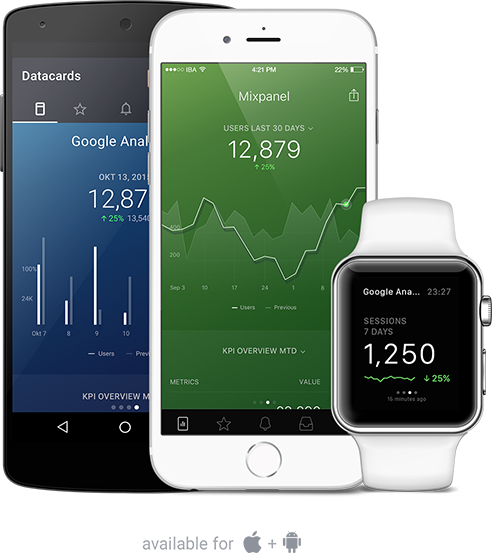 Databox even delivers metrics to Apple Watch®. We like the fact this company doesn’t promote itself as the only tool you’ll ever need. They don’t claim to be an analytics tool for comprehensive or drill-down data analysis, and they don’t offer CT Scan level diagnostics. There’s one thing this company is really, really good at—enabling us to bring together the information all your deeper-dive tools gather in one place. Add this to all the other essential business data you gather, and Databox becomes one of the most effective tools available for measuring the pulse of your business—much like day-to-day blood pressure checks track health factors between doctor’s visits. Databox makes it easier for us to concentrate on the KPIs that truly drive your business. By eliminating the search from software to software to collate data, we no longer overlook information. Instead, it comes to a screen we’ve tailored to collect that data type. As a result, tremendous business guiding information becomes accessible—in real time. We’re on a mission to promote your business growth with creativity, sound reason and data-driven execution. Databox is helping us fulfill that goal. Why not discuss whether partnering with us might be a good fit for your business mission?